Until 1st July 2019, simply head over to Akaipro.com, register Fire and follow the link to the Sample Tools site to get your hands on this exclusive content. Combining Ultimate EDM, Ultimate Trap and Ultimate Underground, these packs provide an immense 1GB+ of production-ready sample content. Whether it's the finishing touch to your latest masterpiece or the spark for that initial idea, these heavyweight Fire expansions don't disappoint. Covering everything from sultry melodic leads to hard-hitting drums and thunderous basslines, whatever your production discipline, there truly is something for everyone here - all optimised to work seamlessly with FL Studio thanks to a collection of easy-to-use FL Studio templates. 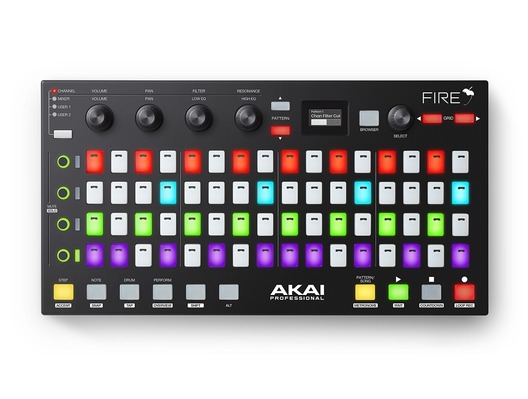 Introducing the Akai Fire; another high-quality production controller from Akai that has been designed to work with FL Studio - a world-first. 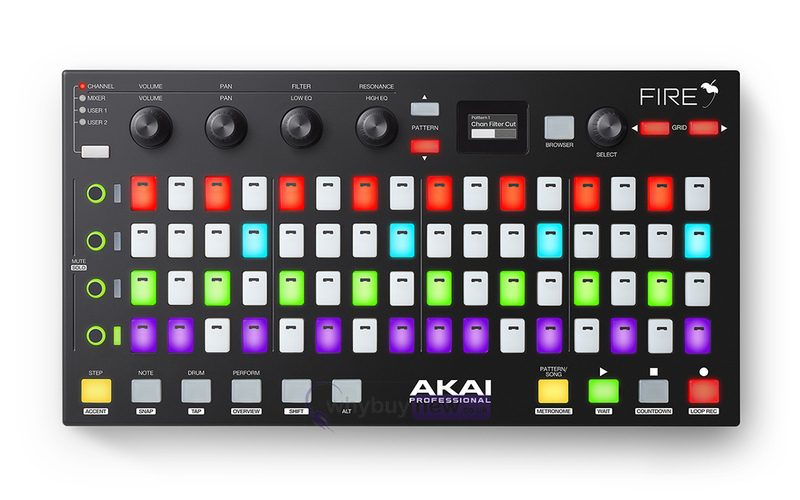 The Akai Fire has a straight-forward plug-in & play integration with the FL Studio software so you can start playing as soon as you connect your device to your laptop. It has a 4x16 matrix that gives you lots of scope to create intricate sequences, plus with the Fire's Multi-Device mode you can link up to three other units to make a 8x32 matrix for even more complex and detailed patterns. 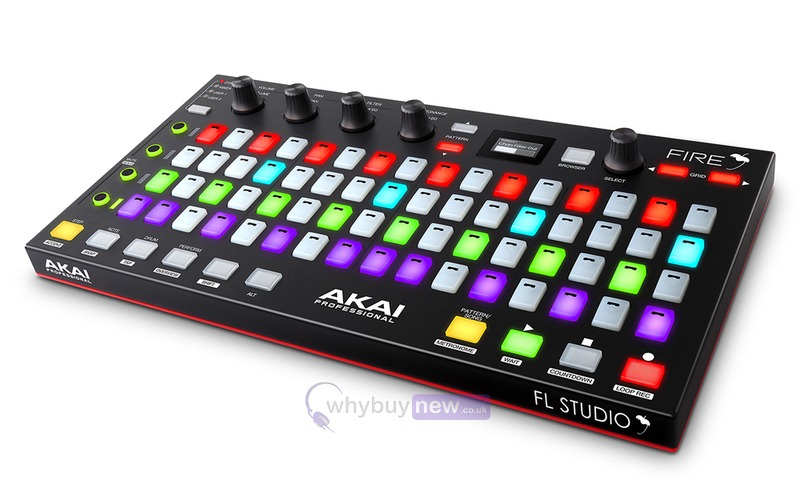 As well as being great for studio production the Akai Fire also has a Performance Mode where you can take advantage of the high-velocity keypads and tactile components of this controller for a highly intuitive workflow and powerful performance. Featuring plug-and-play integration, within seconds you'll be creating patterns and building tracks using Fires 4 x 16 velocity-sensitive RGB pad matrix, designed for immediate interaction with FL Studios celebrated step sequencer. Get hands-on with your production with everything you need to control FL Studios channels and patterns. With direct hardware control over your session, you can easily mute and solo channels, expand the grid matrix, select new channels, navigate through patterns and much more without touching a mouse. From searing synth leads to lush pads, Fires Note mode provides the ultimate platform to add melody and harmony to your production. 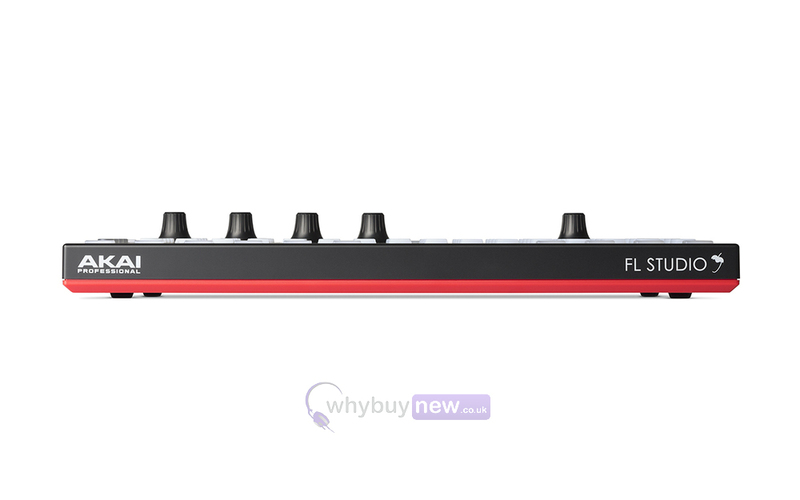 Simply push the Note button and Fires RGB pads switch-up to a MIDI keyboard giving you three octaves of note data, perfect for playing all of your instruments hosted in FL Studio. Fires pad matrix features an MPC-style 16-pad layout for seamless integration with FPC and SliceX. This is great for FL Studio producers who want a traditional beat-making experience or want to use their finger-drumming chops on the track. Whether you're a studio producer refining an arrangement or live performer looking to take your sessions to the stage, Fires Performance mode provides the ideal platform to remix and reimagine your tracks. Simply select Performance mode and launch MIDI clips and audio directly from Fire's RGB pad matrix for a truly inspiring live production experience. Bringing a tactile, mouse-free mixing solution to the FL Studio environment, Fire includes 4 banks of 4 touch-capacitive knobs that enable the user to instantly see and adjust parameter values. Providing control over channel, mixer and user-assignable parameters, this enables a more intuitive and enjoyable workflow. From tweaking volume and pan within FL Studios mixer to adjusting filter controls within the selected channel and recording automation, you'll spend less time clicking and more time executing. Here we have the Akai Fire in brand new condition and in B-Stock. The B-Stock versions would have been on display at a training evening or trade exhibition only and will come boxed 'as new' with all accessories and a 1-year warranty.